Ryan McAdams Wins Virginia GOP Primary! Political newcomer Ryan McAdams has won his GOP primary with 73% of the vote. He’ll face a lock-step liberal in the November election for the 4th Congressional District. 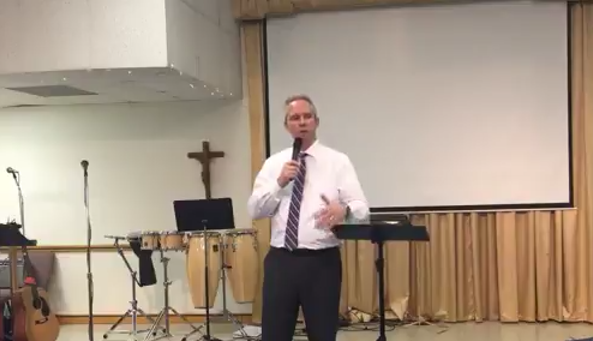 McAdams is a pastor and social conservative who will defend the right to life of unborn children, work to defund Planned Parenthood, defend the Second Amendment, fight for border security, and religious liberty. Senator Deb Fischer (R-NE) won her GOP primary against four other candidates in May. GING-PAC endorsed her in her first run for the Senate in 2012. She won her first race against leftist Sen. Bob Kerry by nearly 16%. Fischer has a solid pro-life record and believes that marriage is between one man and one woman – a view held as “bigoted” by amoral Democrats, Marxists, homosexuals, and self-styled “progressives.” Fischer will face off against liberal Jane Raybould, a Lincoln City councilwoman. Nebraska is considered a deep red state, so odds are that Sen. Fischer will win a second term – and continue fighting for social conservative principles. 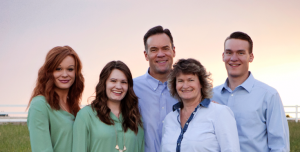 In Idaho, Idaho state senator Russ Fulcher defeated four other opponents in the GOP race for the 1st Congressional District by winning 45% of the vote. His closest opponent only received 16% of the vote. 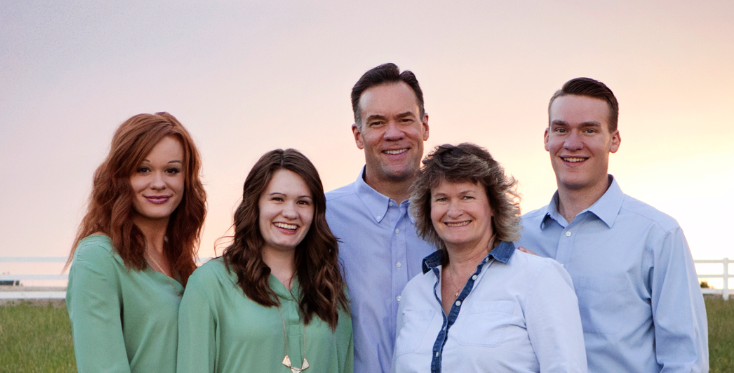 Fulcher hopes to replace Congressman Raul Labrador, who resigned his seat to run for Idaho governor, but then lost his primary race. Fulcher, who is a principled social conservative, will face off against Democrat Christina McNeil in the November election. Christian conservative Andy Coleman is running for Congress for the 1st Congressional District in Oklahoma. He’s running to replace Jim Bridenstine, who resigned to become the head of NASA. Coleman is a graduate of the U.S. Air Force Academy and served as an intelligence officer with USCENTAF, the Air Force agency dealing with the Middle East, Central Asia, and North Africa. After transferring to the Air Force reserves, Coleman attended the University of Kansas School of Law, where he served as editor of the law review, and as a leader in the Christian Legal Society and the Federalist Society. He later interned with the Alliance Defending Freedom, a religious freedom law firm. Coleman served on active duty in Baghdad, Iraq in a U.S. Civil Affairs brigade where he encountered persecuted Iraqi Christians. He helped distribute much-needed supplies for these beleaguered Christians. This GOP race is expected to go into a run-off election if one candidate fails to get more than 50% of the vote. Three GOP candidates are vying for the seat currently held by Senator Jeff Flake. He is an unpopular Senator who has a dismal 18% approval rating by Arizona voters. Flake became one of the leaders of anti-Trump Republicans in the Senate and knew he was going to face a devastating defeat in November. Former State Senator Kelli Ward was the first to announce her plan to challenge Flake. Former Sheriff Joe Arpaio then entered the race, and afterward Congresswoman Martha McSally also entered the race. Of the three, McSally is considered the most “moderate.” In an April poll of Republican voters, Dr. Kelli Ward, who is considered the most conservative of the three, had a 9-point lead over her nearest rival in the upcoming August 28 primary. Ballotpedia posted recent polls showing that the Democrat candidate has a lead over all of the GOP candidates, but this can change. If the Democrat wins, this will be the first time in 20 years that a Democrat has won a Senate seat in Arizona. Arizona Senator John McCain is being treated for brain cancer and is not expected to live much longer. Rumors are floating around D.C. that the governor of Arizona may appoint John McCain’s wife Cindy to take his place in the Senate. This is bad news. This bill will amend the federal judicial code to specify that the U.S. Supreme Court and immigration courts are the only courts that have jurisdiction over (and in which a claimant has standing to raise) issues regarding immigration, naturalization, refugee status, or asylum. This would include any other related matter involving a claimed legal right to enter or remain in the United States. Recently various left leaning State Courts and even legislatures such as California’s have tried to make immigration law on their own that is contrary to U.S. immigration laws. He says this legislation is needed to prevent renegade liberal judges from imposing their own political ideas on cases involving illegals and refugees. The federal court system was created by Congress, and Congress has the power to restrict the kind of cases these courts can hear. Congress also has the power to break up renegade court systems and to impeach judges who routinely issue politically-motivated rulings without Constitutional authority. All three of these powers should be used. “Thursday (May 17) marked a year since Mr. Mueller began investigating possible interference by Russia in the American political system. It’s time to wrap things up. The investigation is important, but so are many other issues, from which the investigation distracts in time, energy, and taxpayer money. We need to stop Iran from exporting terrorism to Iraq, Syria, and Yemen. We need to convince North Korea to abandon its nuclear weapons. We need to fight Russian President Vladimir Putin’s campaign to destabilize Western democracy. We need to repeal Obamacare and lower the cost of health insurance. We need to help the people of Venezuela regain economic stability and freedom. We need to reform and extend the National Flood Insurance Program for the homeowners and businesses along the Gulf Coast. We need to negotiate better trade deals with China. We need to stop China from stealing American technology. We need to lower the cost of prescription drugs and resolve the opioid addiction crisis. Instead, on many days, we are suspended in an atmosphere of rumors, speculation and innuendo that works against Congress and the American people. GING-PAC endorsed Congressman Steve King (R-IA) has introduced the “Mayor Libby Schaaf Act of 2018” that will target state and local officials in sanctuary cities who obstruct the Immigration and Customs Enforcement (ICE) agents from enforcing U.S. immigration laws. The bill is named after the notorious mayor of Oakland who warned illegals that they were about to be arrested by ICE agents. More than 800 criminal aliens avoided capture because of her actions. Blunt Wants Members Of Congress To Pay Own Sexual Harassment Legal Fees!